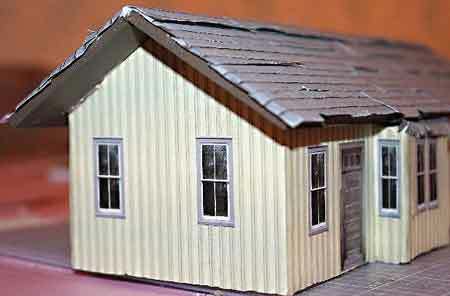 This building will represent a depot on my railroad, built in 1859 and used until 1968 when the railroad was abandoned. 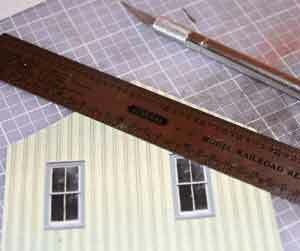 It will be 9 1/2 X 4 inches or 36 X 16 scale feet (O Scale). 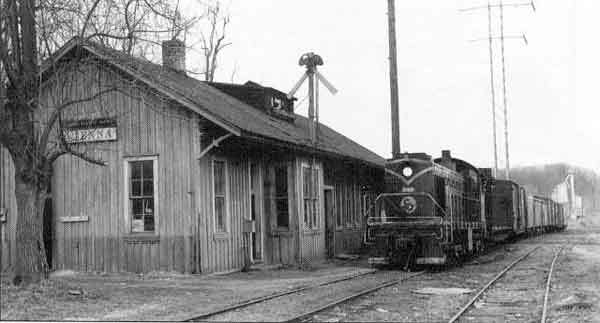 I had a picture of the real depot to reference. 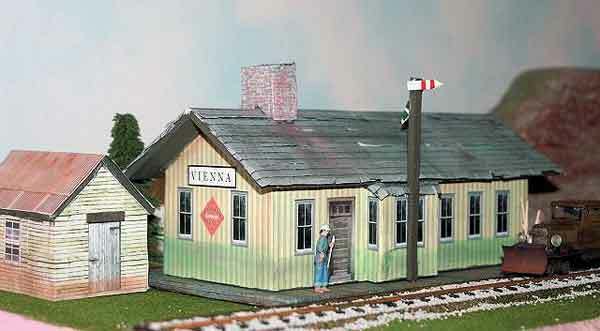 The station is in Vienna, Virginia and was used by the Washington & Old Dominion Railroad from 1847 - 1968. 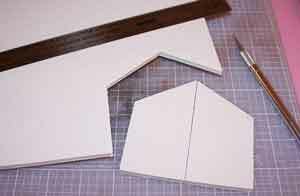 Start the foam core building by figuring the size. 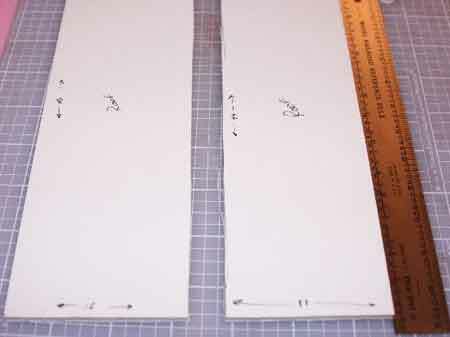 Lay out the dimensions with a scale ruler on the foam core board, purchased at the local craft store. I used 3/16 thick foam in 20 x 30 sheets, about 99 cents at the craft store. 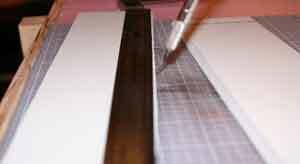 Once that is done, cut along the lines with your razor knife (sharp blades will help). 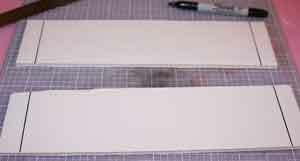 Use your straight edge or ruler to guide the blade. After you have the four sides cut out dry fit them to make sure they fit properly. 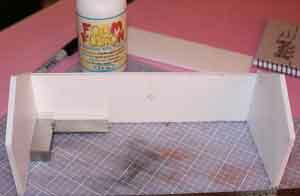 Then glue the sides together with white glue making sure the sides are square. I used EPS Foam Glue by Foam Fusion, but any white glue will do. Allow to dry. 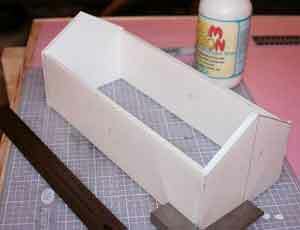 Next lay out the roof sections and cut them out the same way as the sides. 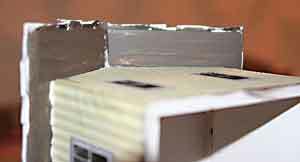 In my building the roof has a 3 scale foot overhang on the gable ends, so I cut two 42 X 12 scale foot pieces of foam core. 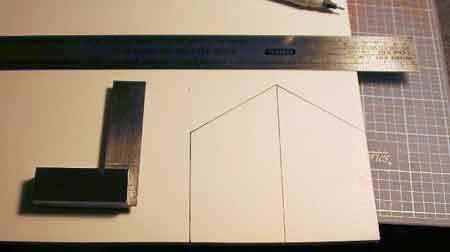 While cutting the top sections of the roof, pull the knife along the straight edge and angle the tip in at an angle. This will create the peak at the top of the roof when you join the two halves. 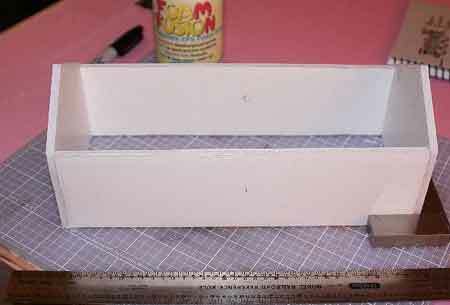 Measure for the overhang and mark it with a sharpie. This helps to align the roof sections for the proper overhang. As before dry fit and make any adjustments needed and then glue into place. 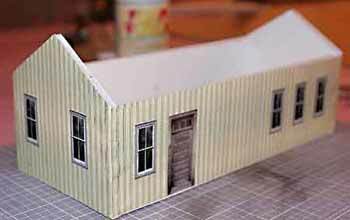 For a foam core mock up building, place it on your layout and you are good to go until you get the real building completed. 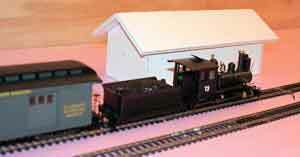 Model Builder Software from Evan Designs. ($45. one time fee) . 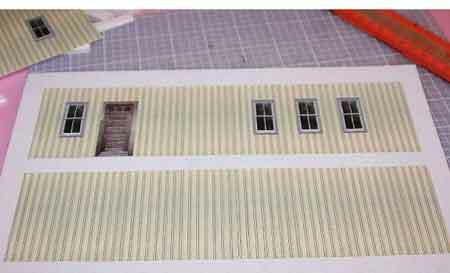 Design the building features in Model Builder and print out the building with your color printer. Cut them out with the knife. Be sure to add a little more material before you print to allow for the thickness of the foam core. 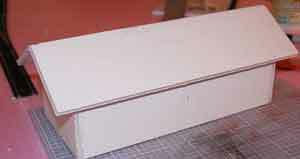 After dry fitting and trimming off the extra, glue the paper to the foam core with white glue. 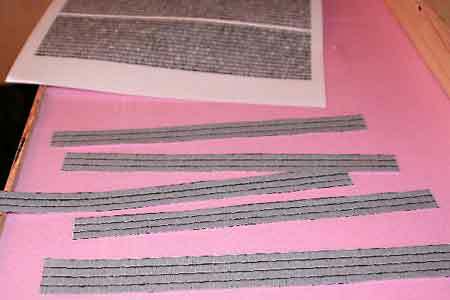 For the roof, print out shingle material and cut it into strips like real roofing. 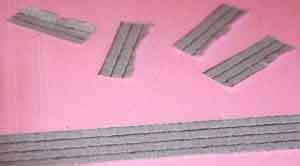 Next cut small slits along the bottom of each piece and bent the edges up to create a 3D effect with the roofing. 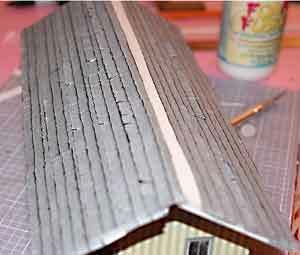 Glue the strips on to the roof starting at the bottom, work your way up and across leaving a little overhang just as if you were putting on real shingles. 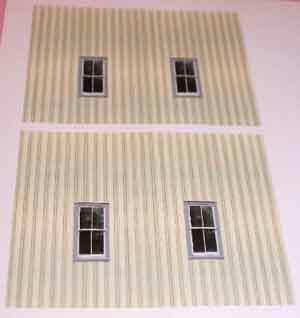 Painting the soffits and fascia a roof brown color will help blend the roof area. Weathering with chalks will add some age to your building. 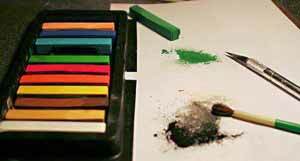 Scrape the selected colors with your knife onto a piece of scrap paper. 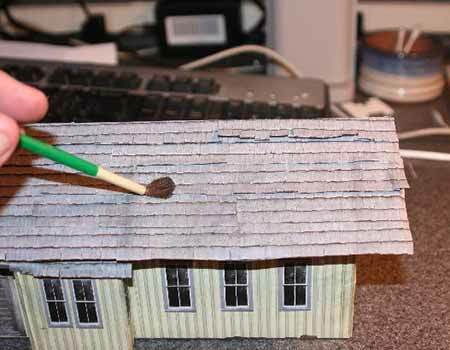 Then dry brush the colors to create faded paint, dirt and age. 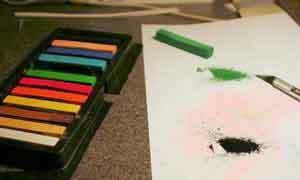 You can even mix the dry powders to create a mix of colors. I completed this project in about three hours one evening. 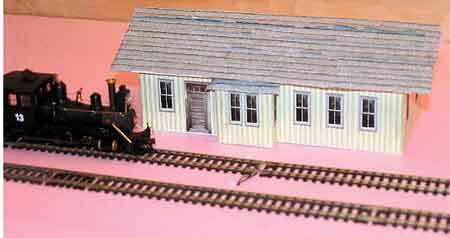 I think its a quick way to add some "life" to your layout and helps with track planning. Total time: 4 hours, total cost: about 8 bucks. That's pretty much it. Don’t forget to add the details! 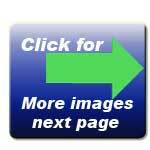 See many more buildings in the gallery! Note: We came across Dan Gillenwaters article posted at the On30 Center we emailed Dan and asked if he would be interested in publishing the article on our site. Here is Dan’s article. 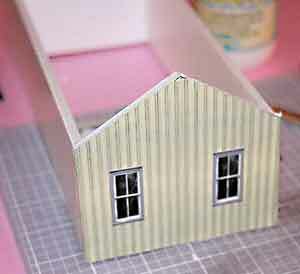 I hope it will inspire others to try this inexpensive medium with Model Builder. 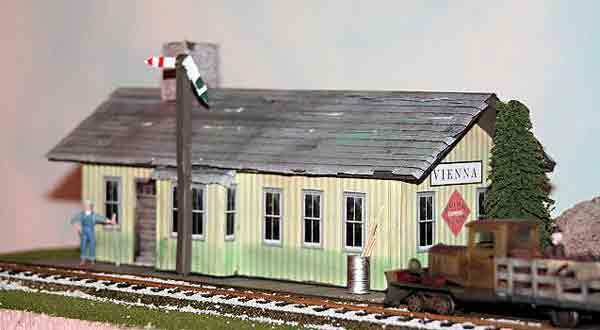 If you use Model Builder and would like to send us a write-up, please contact us!